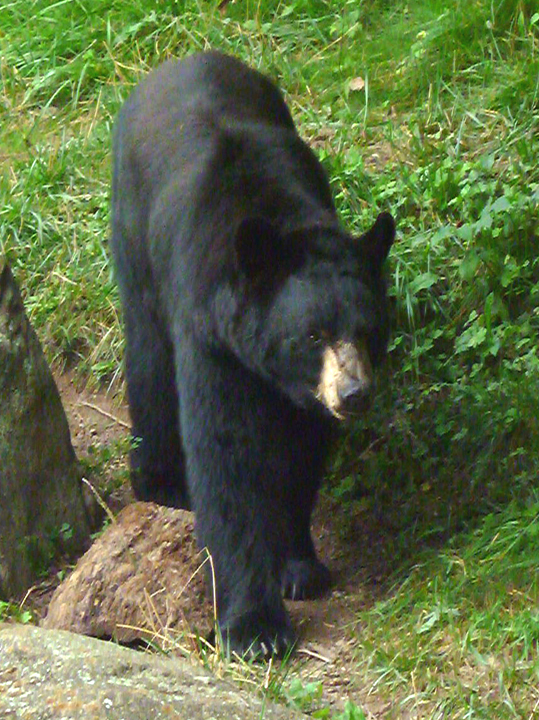 Since moving to Western North Carolina in 2004, we have had black bears visit our yard (and bird feeders) several times. For pictures of one visit you can go here. However, I have never been able to record any audio since we've only had lone adult bears visit. This changed in the Spring of 2015 when we were awakened by LOUD whining and moaning in our back yard. We looked outside and there was a female bear and two young cubs. What we were hearing was the frustrated crying of one of the young cubs trying to knock down our bird feeder. They stayed in our yard for over an hour while we watched (and recorded) from our screened porch. Here are two recordings of the young cub. We estimate the cubs were over a year old. Young black bear cub crying in frustration. Second recording of frustrated cub. Photos above were taken at the Western North Carolina Nature Center. Important note: NEVER approach a bear or any other wild animal. We have removed all bird feeders from our yard to discourage the bear from staying in the neighborhood. This is more for his protection than the protection of humans since black bears are basically shy creatures. However, the more comfortable they become with humans, the more chances there are of encounters and misunderstandings between bears and humans. 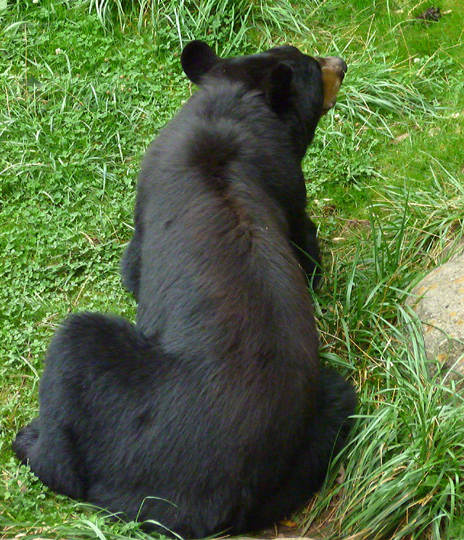 If you have a foraging bear in your area, remove all outside pet food and bird feeders and make sure your garbage cans are covered tightly and "bear proof." Never allow your pet dogs to chase a bear. Respect this magnificent creature. We are, after all, in THEIR territory. All images, essays and poetry are copyrighted © 1990-2018 Elizabeth Dozier Steedly and Homer R. Steedly, Jr.